But new research about to be published suggests that over the decades they may have been chipping away at the wrong rocky outcrop on thePreseli Hills in Pembrokeshire. The work in the hills is a crucial element in the understanding ofStonehenge because it is generally accepted that the bluestones that form part of the ancient Wiltshire monument came from this remote spot in south-west Wales. One of the many huge puzzles remains how the bluestone from Wales travelled 190 miles to the heart of south-west England. Spanish excavations in Can Sadurní cave (Begues, Barcelona) have discovered four human skeletons dated to about 6,400 years ago. The skeletal remains of the individuals are particularly important as they are in a very good state of preservation. An archaeological campaign carried out previously identified other individuals which were not so well preserved but belong to the same stratigraphic layer. Archaeologists excavating in 1999, also discovered within the cave, evidence for the earliest European beer, which may have been included as part of the death ritual. Excavations at Can Sadurní are carried out by Col·lectiu per la Investigació de la Prehistòria i l’Arqueologia del Garraf-Ordal (CIPAG), together with the Seminar of Studies and Prehistoric Research (SERP) of the University of Barcelona. The Cyprus Antiquities Department, supported by members of the Defence Archaeological Group, have been excavating a 7th century Basilica in the area of RAF Akrotiri recently. The excavation, which is now in sixth year, is a significant discovery and as experts continue to unearth more of the ancient ruin, there is enough evidence to suggest it was a building of enormous importance. The huge site, estimated to have been the size of Westminster Abbey, which the Antiquities Department dates back to approximately 616, is believed to have been a holding area for holy relics brought over from Jerusalem and boasts an incredible wealth of stunning mosaics – now protected with special gravel – marble, gold leaf trimmings, bronze and statues. And according to Eleni Procopiou, an area officer for the Antiquities Department, its discovery should not be underestimated. 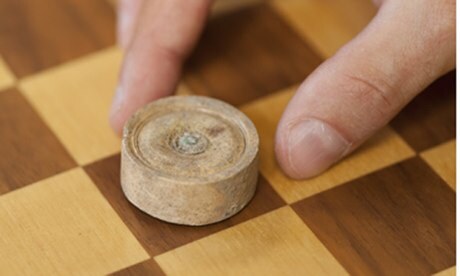 A 7th century board game piece, the first discovery of its kind for 130 years, has been unearthed in Kent by University of Reading archaeologists. 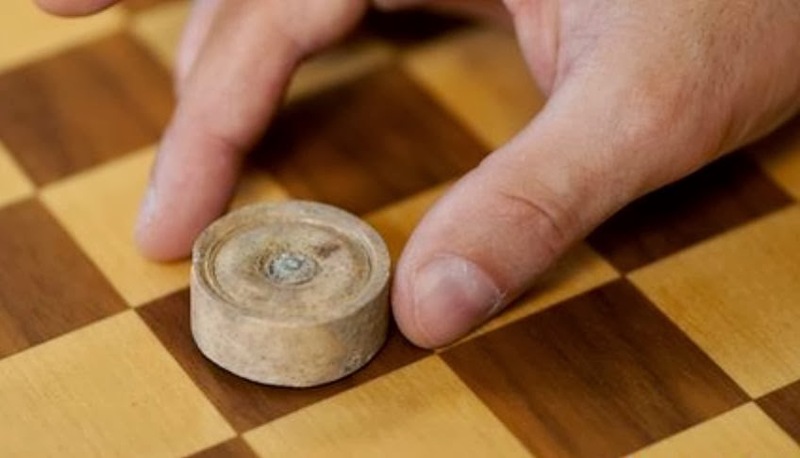 Researchers believe the hollow bone cylinder found at the Lyminge dig belongs to an early backgammon or draughts-type games set. It was found in the remains of an Anglo-Saxon royal hall where board games were traditionally very popular. Project leader Dr Gabor Thomas called it a "wonderfully evocative discovery". The Anglo-Saxon gaming piece found in the Kent village of Lyminge. 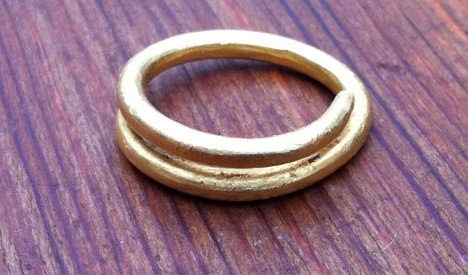 A woman was left gobsmacked when she learned the gold ring she stumbled across in a field was 2,000 years old. "I walk through that field several times a week. At first I thought it was one of the little rings we put around the chickens’ feet," Camilla Lundin, 51, told The Local. "I thought it was strange that it was so far away from home." Lundin took the ring home and showed her husband, who also didn't believe it was anything special. But Lundin took a picture which she sent to her brother, who immediately told her it was a treasure. "When he told me it was an ancient gold ring, it felt like a gift from the underworld," Lundin told The Local. "It was my magnificent ring. I didn’t want to give it up." 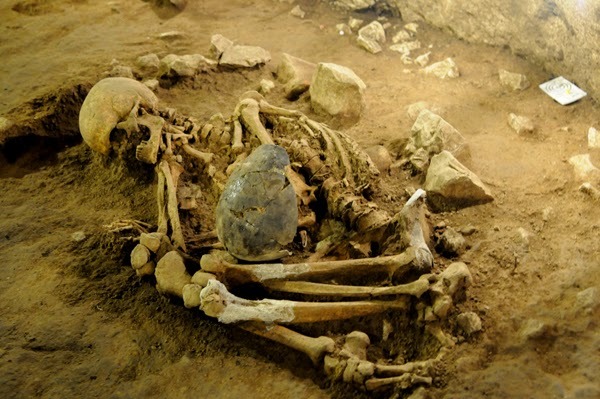 Excavations in Can Sadurní cave (Begues, Barcelona) have discovered four human skeletons dated at about 6,400 years ago which were buried following an unknown ritual in the Iberian Peninsula. Few caves have necropolis dated at such an ancient period: the beginning of Middle Neolithic. In addition, remains are particularly important as they are nearly complete. In fact, a campaign carried out previously identified some buried bodies, which were not so well preserved but belong to the same sepulchral layer, and the most ancient European remains of beer consumption. Excavations at Can Sadurní are carried out by Col·lectiu per la Investigació de la Prehistòria i l’Arqueologia del Garraf-Ordal (CIPAG), together with the Seminar of Studies and Prehistoric Research (SERP) of the UB. Decorated with jewel-like enamelled colours and covered in gilding, this Limoges enamelled plaque found on the Isle of Wight, would have been a dazzling religious item for its original owner. The plaque bears the image of a winged man, standing on a wave-like cloud, who most likely represents Matthew, one of the four Evangelists who created the four gospel accounts of the New Testament, in the Christian Bible. The plaque is church shaped, formed of a steep roof topped with an orb and cross. On the other side the plaque is recessed, and pierced by a hole, indicating that this small piece may have been attached to something much larger – quite what, we don’t really know. In a further study of Neanderthal occupation at Abri du Maras, Ardèche in France, the evidence is stacking up to support the view that this group was behaviourally flexible and capable of creating a variety of sophisticated tools including projectile points and more importantly, cord and string. Fibrous materials that can be used to create cords are difficult to find in the archaeological record and have usually rotted away, so the oldest known string dated back only 30,000 years. However, perforations in small stone and tooth artefacts as well as shells from other Neanderthal sites in France suggested the pieces had once been threaded on string and worn as pendants. Bruce Hardy at Kenyon College in Gambier, Ohio, explains that “The wear patterns provide circumstantial evidence of early use of string, but the evidence is not definitive.” These items could also have been threaded onto animal sinew. Research to be published this month may bring us a step closer to understanding how bluestones from Pembrokeshire ended up at Stonehenge. 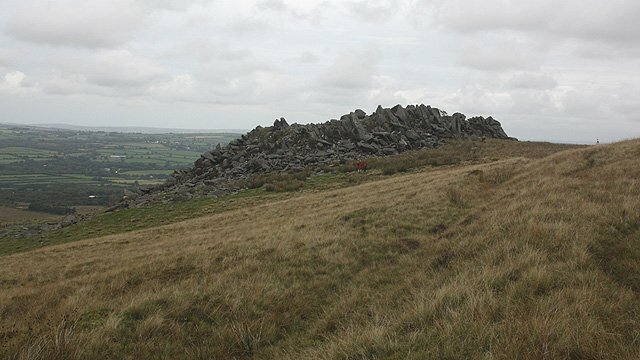 Scientists from Aberystwyth University, University College London and National Museum of Wales have located the specific outcrop, Carn Goedog, in the Preseli Mountains. This is where the distinctive spotted dolerites originated. The findings are to be published in the Journal of Archaeological Science. Geologist Herbert Henry Thomas first proposed in 1923 that the rocks which form the giant inner ring were specifically quarried for Stonehenge by Neolithic man around 5,000 years ago, and were hauled to Wiltshire via land and sea. 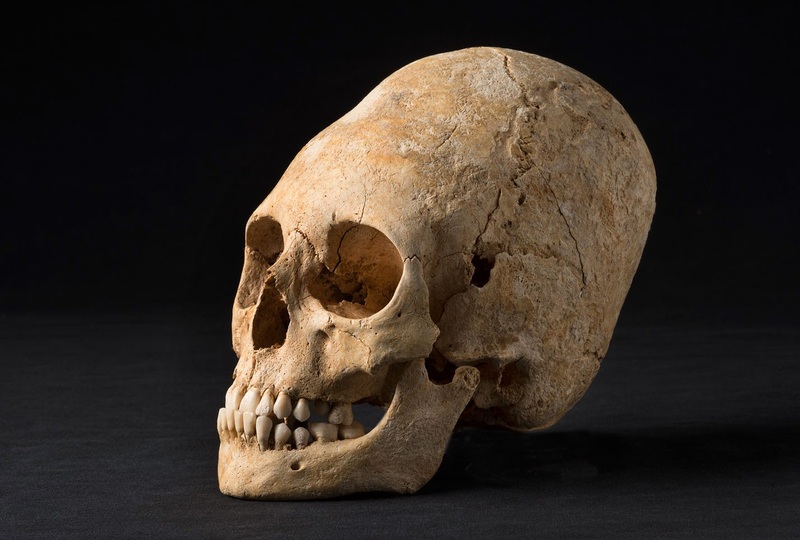 A woman's deformed skull was found in one of the tombs, which dates to around 1,650 years ago. The re-opening of a labyrinth of catacombs in Rome has reignited a debate over women priests in early Christianity. 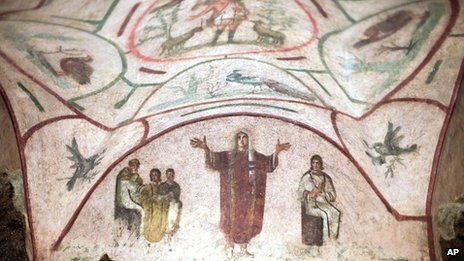 Women's groups say frescoes on the walls at the Catacombs of Priscilla are evidence that women occupied the role of priests in ancient times. A major clean-up operation which that five years has revealed the images in greater clarity. But the Vatican has dismissed them as pure "fable, a legend." The catacombs - discovered in the 16th Century - are famous for housing the oldest known image of the Madonna and Child dating from around 230-240 AD. Found by Dr Gibbon’s father, Donnie Grieve, a retired teacher from Harray, the runes on the broken stone are a 19-character Latin passage of part the Lord’s Prayer — “who art in heaven hallowed”. The amateur historians were using a metal detector in a field in Hyvikkälä, Janakkala, which had showed signs of pre-historic settlement. After uncovering a few minor objects, the metal detector picked up a spear tip and an axe blade. After some digging, the group discovered a broken sword. At this point, the hobbyists broke off their work to alert the National Board of Antiquities (NBA). The results of a DNA study suggest that dogs were domesticated in Europe. No-one doubts that "man's best friend" is an evolutionary off-shoot of the grey wolf, but scientists have long argued over the precise timing and location for their emergence. 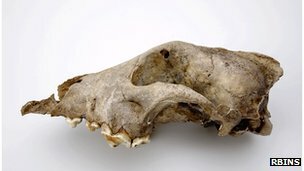 The new research, based on a genetic analysis of ancient and modern dog and wolf samples, points to a European origin at least 18,000 years ago. Olaf Thalmann and colleagues report the investigation in Science magazine. Scientists have removed fragments of bone and a jet bead from inside a 1,700-year-old lead coffin. The experts have now opened and started examining the contents of the Roman casket, which was discovered beneath a field west of Hinckley by metal detectorists last month. The casket, which is less than three feet long, is thought to contain the remains of the child of a rich Roman family. The team of archaeologists and conservators from Archaeology Warwickshire and York University removed the damaged lid yesterday (MON) morning revealing a cavity filled with silt which had been washed into the coffin through cracks in the lining. They then began the delicate task of removing layers of silt. The discovery of 3 cists found within close proximity to one another has intrigued archaeologists. One of the cists contained the burial of a juvenile, while the other two were completely devoid of human remains. The investigation began in April 2012 after a rectangular stone cist was accidentally damaged by ploughing at Blairbuy Farm in Dumfries and Galloway, southwest Scotland. A team from GUARD Archaeology, led by Warren Bailie, was sent to investigate by Historic Scotland and it was during the excavation process that the other two cists were uncovered; one rectangular and one roughly oval in shape. There were no artefacts present with the burial from cist 1 and no evidence of botanical offerings. The dead juvenile had been placed in a crouch position, facing north with its head resting on the left hand and the right hand placed near the pelvis. 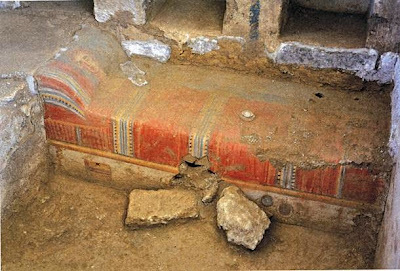 A coffin dating back more than 1,600 years has been opened by scientists in a bid to learn more about life and death in Roman Britain. Tests being carried out are expected to confirm later this week that it contains the remains of a child. 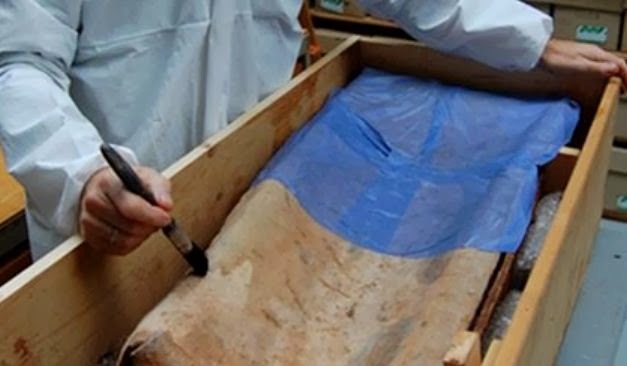 Made of lead, the coffin was discovered last month in a field in Witherley, west Leicestershire. 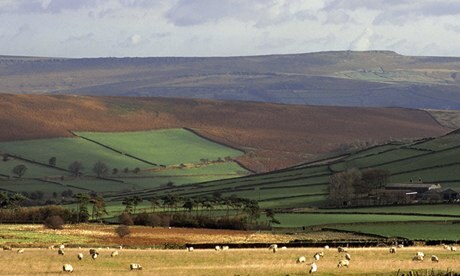 Scientists said they hoped it would reveal more about the culture of Roman Britain and even Romans' diets. 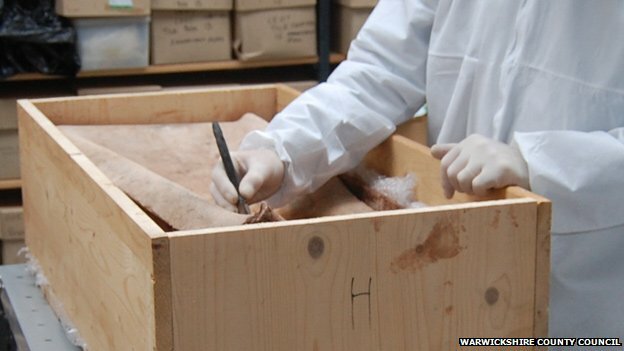 They had previously used an endoscope to probe inside the coffin, but said it was "almost entirely full of clay silt". 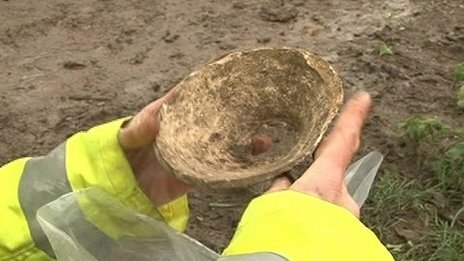 Roman pottery, evidence of a Roman settlement and "possibly Saxon" artefacts have been found at a proposed solar farm site near Peterborough. The land at Newborough is being excavated ahead of a city council decision about the solar farm plan. Richard O'Neill, from Wessex Archaeology, described the finds as "locally and regionally significant". 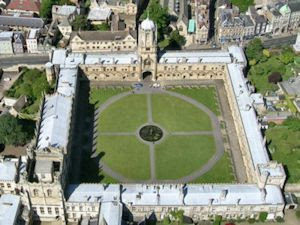 Work is expected to continue for three weeks, after which the council will consider the archaeologists' report. Plans for the solar energy farm at three council-owned sites at Newborough, Morris Fen and America Farm were put on hold after English Heritage stepped in suggesting the area could be "nationally important". 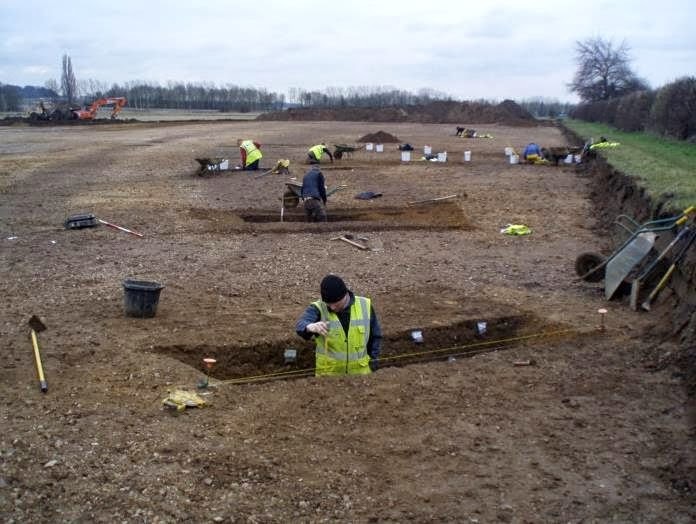 A huge archaeological dig on the edge of Cambridge has uncovered evidence of people living in the area in prehistoric times. In what is described as the largest single excavation undertaken in the city, experts have uncovered traces of field systems, enclosures and settlements dating back to the Middle Bronze Age - 3,500 years ago. Finds include pottery and metalwork, among them a bronze spearhead, and a variety of body parts, including human skulls. Six Late Iron Age (AD 550–1030) graves were discovered in the northern Norwegian island of Flakstad and partially excavated in the period 1980–1983. There were ten individuals making up three single burials, two double and one triple and unusually for this region the bones were in a good state of preservation. Although much of the contextual information had been lost due to farming activity, the double and triple burials contained one intact individual in each, along with the post-cranial bones of the other occupants. This situation has been interpreted as decapitated slaves buried with his/her master and the theory is supported by a number of double burials found within Norse societies indicating this practice. Elise Naumann from the University of Oslo led a study to investigate stable isotope and ancient mitochondrial DNA fragments in order to better understand the social status, geographical and/or familial links within the Flakstad group. 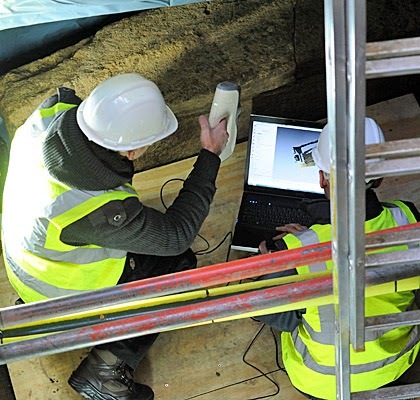 RESEARCHERS at Southampton University will be at the forefront of unearthing Europe’s Roman ports after securing a multi-million pound grant. The university has been awarded £2.1 million by the European Research Council to study a large network of ports stretching from Turkey to Spain. 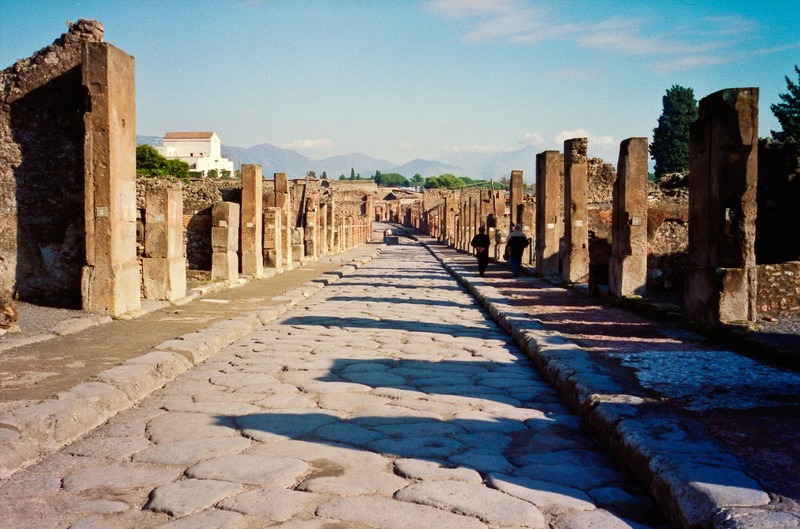 The Southampton team will be based at the university’s faculty of humanities and will work with others from across Europe on the Roman Mediterranean Ports project, which will see archaeologists carry out fieldwork at eight of the 31 ports, including Ephesus, Pitane and Kane in Turkey, Gades and Tarraco in Spain and Portus and Putroli in Italy. A portion of a wall in a house in the archaeological site at Pompeii is crumbling, a union said Monday. According to Antonio Pepe, CISL secretary at the excavation site, guards during a tour Monday morning in the area reported crumbling on the upper portion of a wall at a house in the via dell'Abbondanza. A section about 80 centimetres, or 2.7 feet, long is involved, said Pepe. Critics have complained that not enough is being done to preserve and protect the site, which has been plagued for decades by accusations of mismanagement and neglect. I am not sure if this happens to anyone else, but my work routine seems to revolve around how quickly I can get the computer turned on in the morning to view my inbox of emails. Then of course the ‘ping’ of incoming mail catches my eye at the bottom right hand corner of the screen. I know that I should not let it distract me from whatever I am doing but it inevitably does. Such was the case when I received an attached image of an object to identify that was found at Corrard in County Fermanagh. With a click of the mouse the most intriguing artefact materialised on screen – a Bronze Age torc, quite simply the most fantastic single item of prehistoric gold jewellery ever found in Northern Ireland. In 2014, our annual archaeology conference will return to the University of London’s Senate House. We will be hearing from the foremost archaeological experts on the latest astonishing finds and ground-breaking research, with sessions taking place on 28th Feb-1st Mar 2014 (Friday/Saturday). Join us for the evening reception on Friday night, as we pay tribute to this year’s outstanding contributors and the recipients of the Current Archaeology Awards, as voted by you. In advance of the construction of an industrial business park by the associated communes of Pays de Sainte Odile, Inrap has just finished a large excavation at Obernai, under the curation of the State (DRAC Alsace). Across more than 7.5 hectares, Neolithic, Gallic, Gallo-Roman and Merovingian societies succeeded each other through time. The excavation of this site sheds new light on the cultural evolution and population movements over nearly 6 millennia, as well as on the territorial organisation of Alsace. In the south-eastern part of the excavated area, the archaeologists uncovered a funerary sector containing around twenty graves. The oldest of them date from 4900 to 4750 BC. Another sector yielded around fifteen additional Neolithic graves. Most of the deceased were adorned with pendants and bracelets composed of small limestone or mother-of-pearl beads. One of them was wearing two stone ring-disks. How "smart" were the Neanderthals, really? The question has been at the center of scholarly debate for decades. But the findings of recent research, including archaeological investigations at a site known as Abri du Maras, near Ardèche, southeastern France, have yielded clues that may expand the known repertoir of tools and behaviors that Neanderthals used to survive in the world that existed about 74,000 years ago. An international team of scientists from France, the U.S. and Spain recently conducted residue analysis and zooarchaeological analysis on stone tools and other materials, including otherwise perishable materials such as wood fragments, recovered from excavations at the archaeological site of Abri du Maras in France's Middle Rhône Valley. Viking graves in Norway contain a grisly tribute: slaves who were beheaded and buried along with their masters, new research suggests. In Flakstad, Norway, remains from 10 ancient people were buried in multiple graves, with two to three bodies in some graves and some bodies decapitated. Now, an analysis reveals the beheaded victims ate a very different diet from the people with whom they were buried. "We propose that the people buried in double and triple burials might have come from very different strata of society, and that slaves could have been offered as grave gifts in these burials," study co-author Elise Naumann, an archaeologist at the University of Oslo in Norway, wrote in an email. Detail of the silk textiles from the Persian region that were found in the Oseberg ship. The silk trade was far more comprehensive than we have hitherto assumed and recent research may change our perceptions of the history of the Norwegian Vikings. After four years of in-depth investigation of the silk trade of the Viking Age, Marianne Vedeler, Associate Professor at the Museum of Cultural History, University of Oslo has found that the Norwegian Vikings maintained trade connections with Persia and the Byzantine Empire through a network of traders from a variety of places and cultures who brought the silk to the Nordic countries. 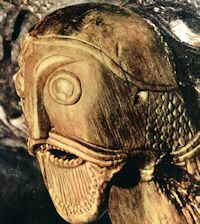 In the Oseberg ship, which was excavated nearly a hundred years ago, more than one hundred small silk fragments were found. This is the oldest find of Viking Age silk in Norway. At the time when the Oseberg silk was discovered, nobody conceived that it could have been imported from Persia. 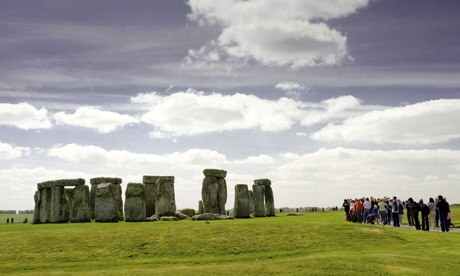 It was generally believed that most of it had been looted from churches and monasteries in England and Ireland.